Nigeria is taking a giant leap in infrastructure development by speeding up ongoing projects and investing heavily in the construction and repair of highways, railways and power generating plants across the country. The Senior Special Assistant to the President on Media and Publicity, Garba Shehu, who stated this in an interview program on Express Radio in Kano on Tuesday, said that the Buhari administration had chosen to fast track projects related to infrastructure in order to pump money into the economy as a way of pulling the economy out of recession. 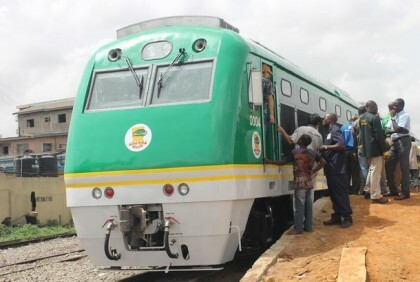 To this end, he said that an unprecedented amount of N750 Billion Naira has been released for capital projects in the last five months and that counterpart funds for the take-off of the USD 11 billion Kano-Lagos rail project had been paid. Malam Garba explained the essence of infrastructure in the country’s economic and industrial take-off, describing it as the equivalent of the arteries forming the bloodstream in the body. “Without infrastructure, the country will not witness growth,” he noted. On the resurgence of militancy and pipeline vandalism in the Niger Delta region, Malam Garba appealed to militants to maintain peace in the region as the President seeks a permanent solution to the problems that are worrisome to every citizen. “We must keep national interest above all else and give priority to eschewing violence and destruction,” he urged. The Presidential spokesman expressed regrets that despite its good faith in pursuing dialogue with the Niger Delta stakeholders, the militant groups have not reciprocated the government’s good gesture in finding peaceful and lasting solution to the crisis in the oil producing areas of Nigeria. According to Malam Garba, the continued destruction of oil installations, including those repaired, has thrown a spanner in the works, causing enormous hardships on innocent Nigerians on account of declining oil production output and massive losses of revenues, which in turn, badly affect the ability of governments at all levels to meet their basic obligations, including payment of salaries.